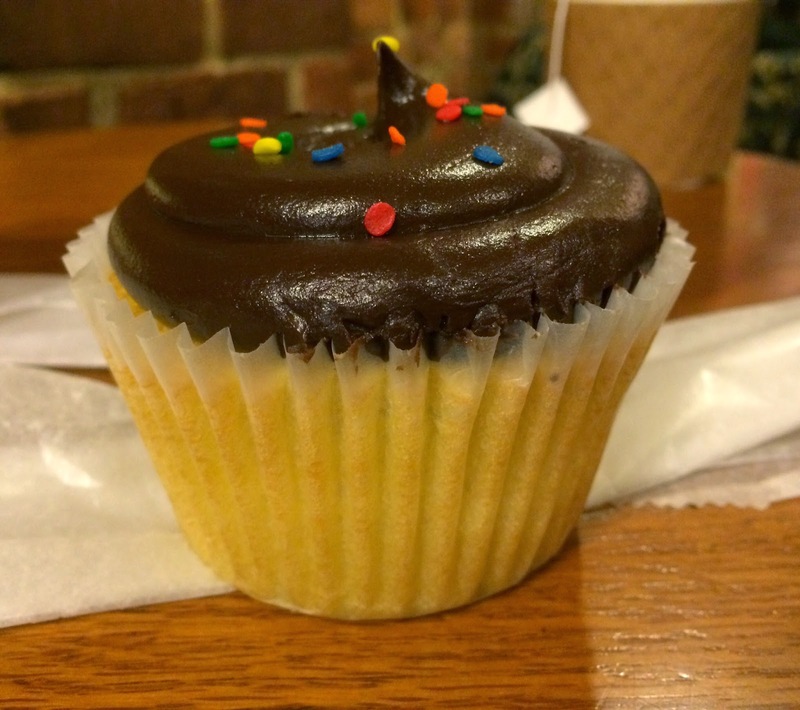 My husband chose a Yellow Cupcake with Chocolate Fudge Frosting at Two Little Red Hens. 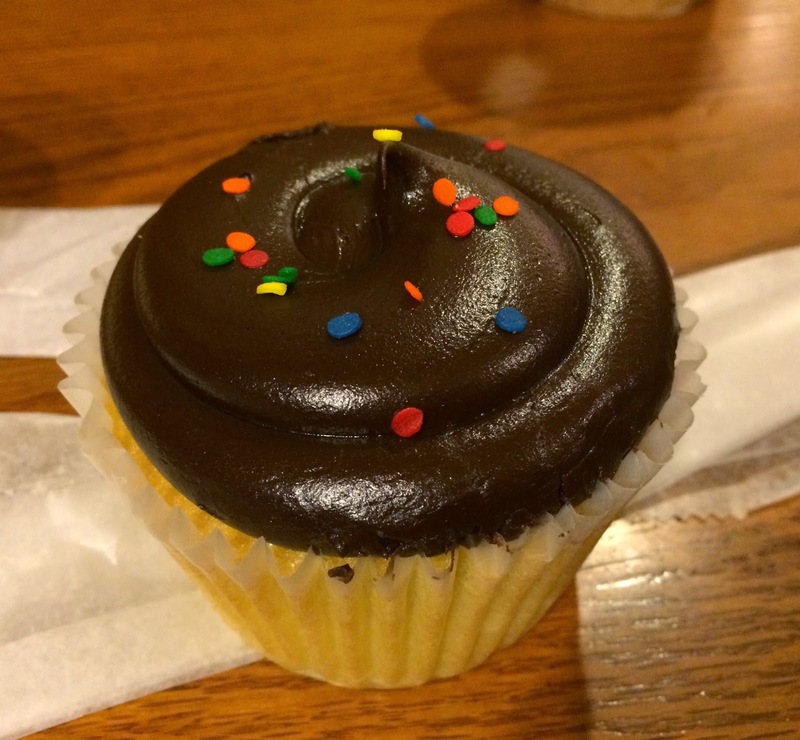 Over a yellow cake, there's shiny chocolate frosting with discreet amount of colorful confetti. When I took off the wrap, the cake looked much paler than with the wrap. I thought the amount of chocolate fudge frosting was more than cream cheese on the Red Velvet, but the ration of the cake and frosting was same and about 2.5 : 1. Chocolate fudge frosting was creamy, rich, and sweet but had some bitterness also. 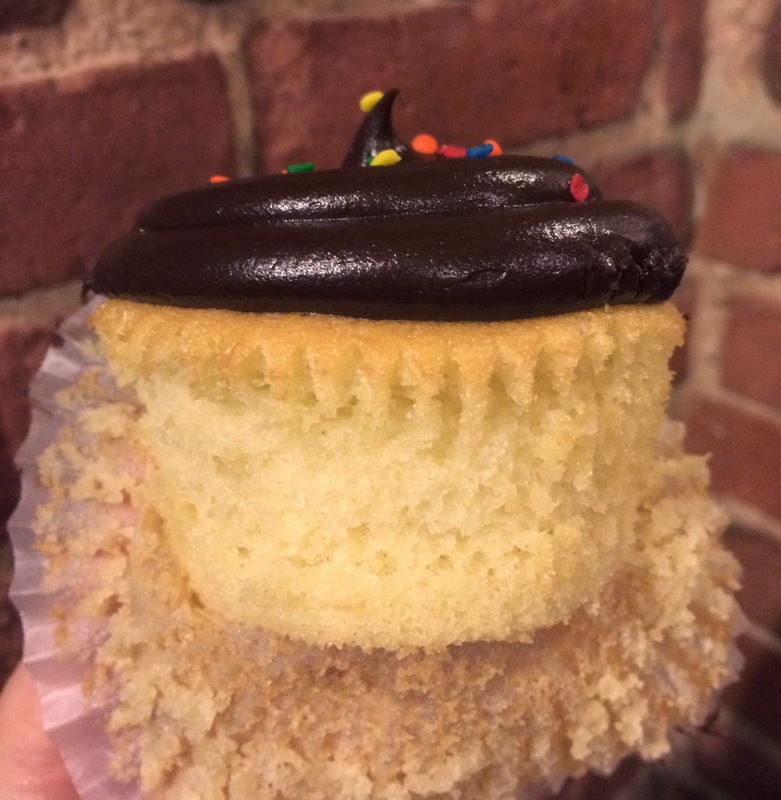 The sponge cake was softer and fluffier than Red Velvet cupcake. 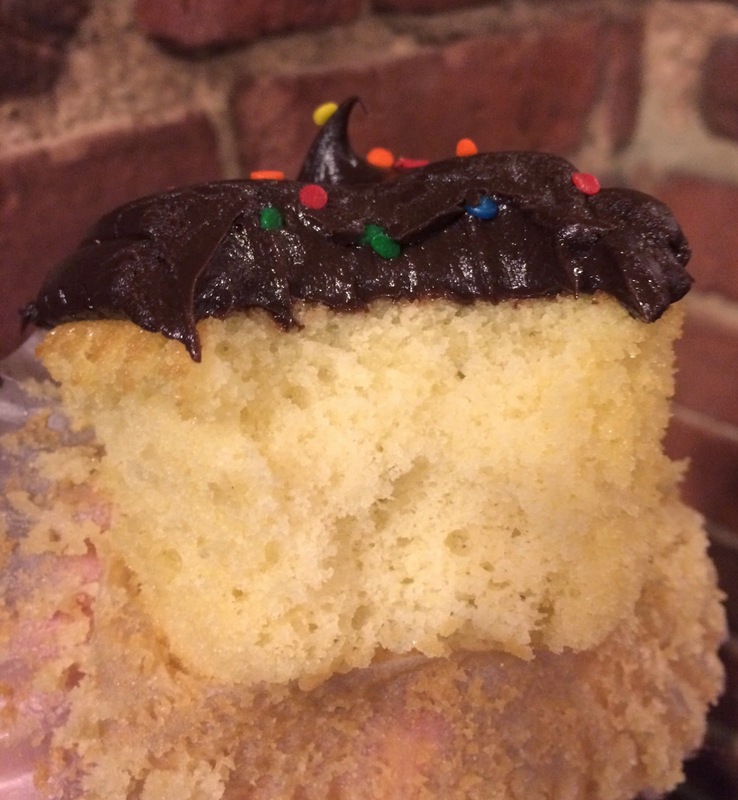 Yellow cake usually has vanilla flavor, but this sponge cake didn't have much flavor but only a great spongy texture.